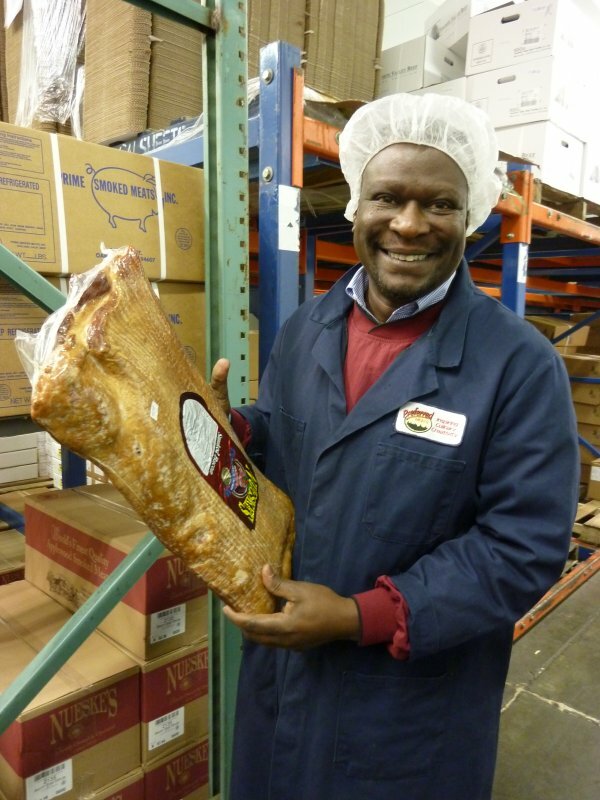 Ugandan born Bala Kironde, with his soft spoken elegance, provided members of the San Francisco Professional Food Society with an outstanding tour of his company, Preferred Meats. Bala Kironde’s father was a Ugandan diplomat turned farmer. On his extensive property holdings a vast assortment of fowl were raised. 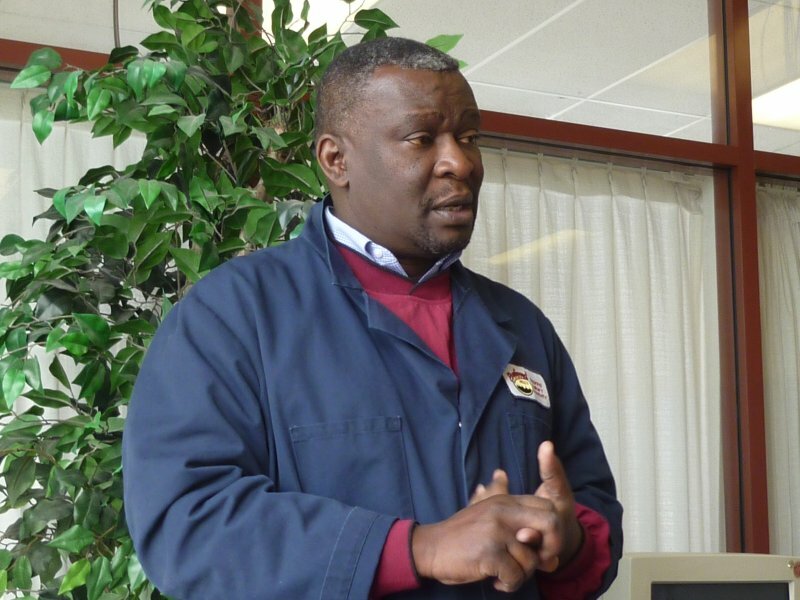 One of 16 children, Bala Kironde completed his university studies in England with the full intention of returning to Uganda to take over the management of his father’s farm. Mr. Kironde’s graduation coincided with the political upheaval in Uganda under the dictatorship of Ida Amin in the 1970’s, and Mr. Kironde’s father lost most of his farmland holdings. A lucky break put Mr. Kironde in touch with a Californian entrepreneur who offered him a job in California where he has since made his home. Bala Kironde’s path from his arrival in California to making Preferred Meats the company it is today has been a long one from raising chickens hands-on to becoming a wholesaler of some of the most outstanding meat available in the Bay Area. 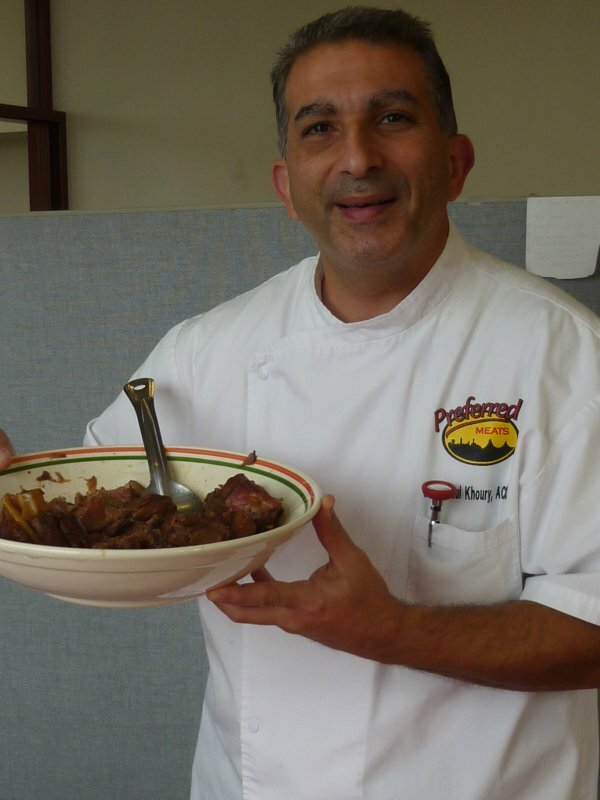 Mr. Kironde has wisely employed John Paul Khoury, CCC as his Corporate Chef. John Paul is on the front line interfacing with chefs and other culinary professionals from the restaurants that form the base of Preferred Meat’s clientele. Chef Khoury prepared a sampling of meats for us to try including two types of pork, lamb and maigret de canard. Each sample was better than the next and confirmed why Preferred Meats is the top company of its kind in the Bay area. Although Preferred Meat products are not necessarily certifiably organic, sustainable or grass-fed they are close to it. Bala Kironde purchases from a group of hand-picked small to medium sized top notch farmers he knows and has visited personally. Product is mostly local, but some comes from as far away as Texas and Uruguay. Preferred Meat’s products are many and varied ranging from chicken, beef and lamb to exotic fowl, foie gras and goat.